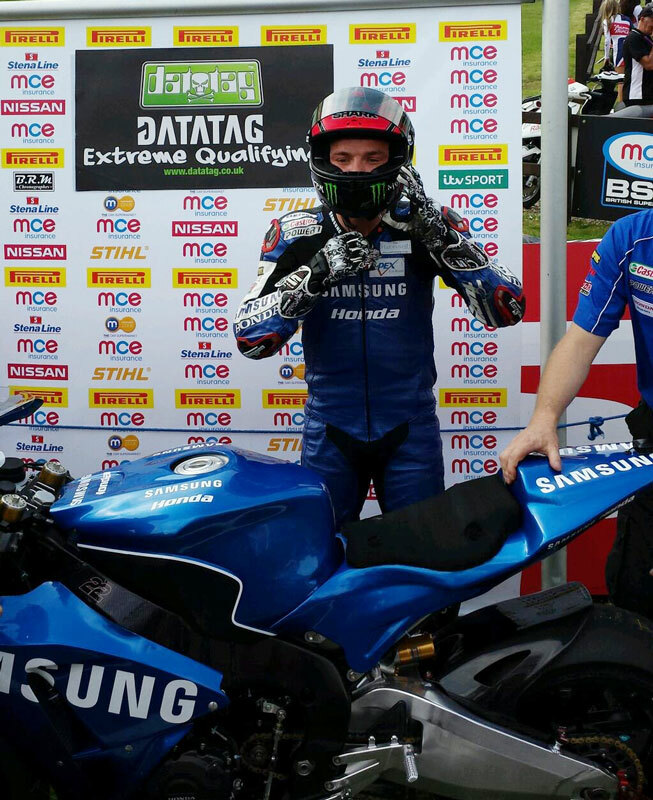 Alex Lowes claimed the opening MCE Insurance British Superbike Championship race win at Donington Park as the Samsung Honda held off the intense pressure from title rivals Shane 'Shakey' Byrne and James Ellison. Lowes got a flying start off the front row of the grid to lead the pack into Redgate for the first time ahead of Byrne, Josh Brookes and Ellison, but the Milwaukee Yamaha was instantly on the attack and pushed ahead. The Australian reclaimed the position but as the pack reached the Fogarty Esses, Ellison was able to make another move and then keep Brookes at bay. Byrne had been pressurising Lowes throughout the race but despite coming up level with his Samsung Honda rival he was unable to get ahead and Lowes was able to celebrate his third consecutive race win. Ellison achieved his goal of adding to his podium credit tally whilst becoming the fourth rider to confirm his place in the Showdown, but for Ryuichi Kiyonari he still has to face a tense race two after only finishing thirteenth in race one. 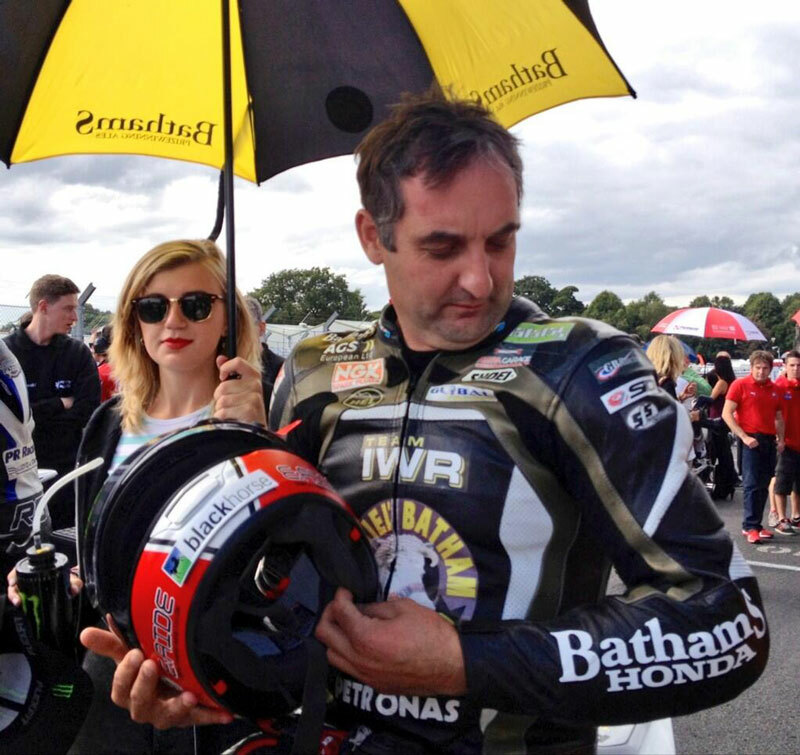 Brookes claimed fourth place ahead of pole-sitter James Westmoreland who is now just four points adrift of his sixth placed team-mate Jon Kirkham who ended the first race in sixth. Kirkham had to fight off the attack from Quattro Plant Bournemouth Kawasaki's Chris Walker and Padgetts Honda's Jakub Smrz as the trio were embroiled in a race-long battle. PJ Jacobsen was able to claim a top ten position for Tyco Suzuki in ninth with Barry Burrell finishing inside the top ten for the first time this season with the Quattro Plant Bournemouth Kawasaki team. Tommy Bridewell was forced to retire from the race with a technical problem. The next round of the MCE Insurance British Superbike Championship takes place at Assen Circuit in the Netherlands (20/21/22 September). For more information, Stena Line crossings and tickets click here or call 0843 453 9000. 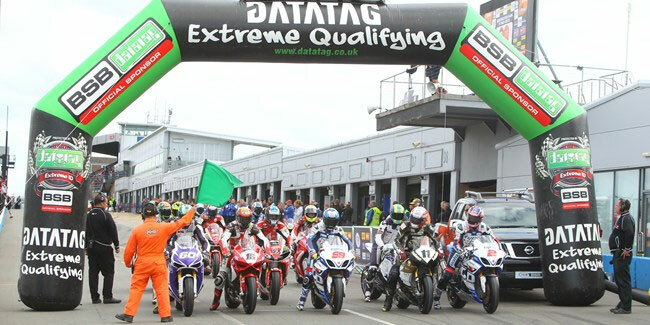 James Westmoreland proved his determination to secure his place in the Showdown for the first time as he powered to pole in the Datatag Extreme qualifying session at Donington Park, a first for the German manufacturer and the team. Westmoreland: I wasn't expecting this! 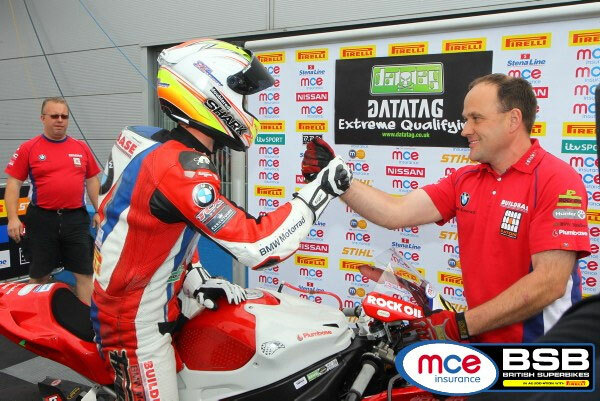 Westmoreland's career first pole position in MCE BSB came as a surprise to the Buildbase BMW rider, but in the battle for the final Showdown positions he knows that he needs to keep ahead of team-mate Jon Kirkham and Tommy Bridewell tomorrow. 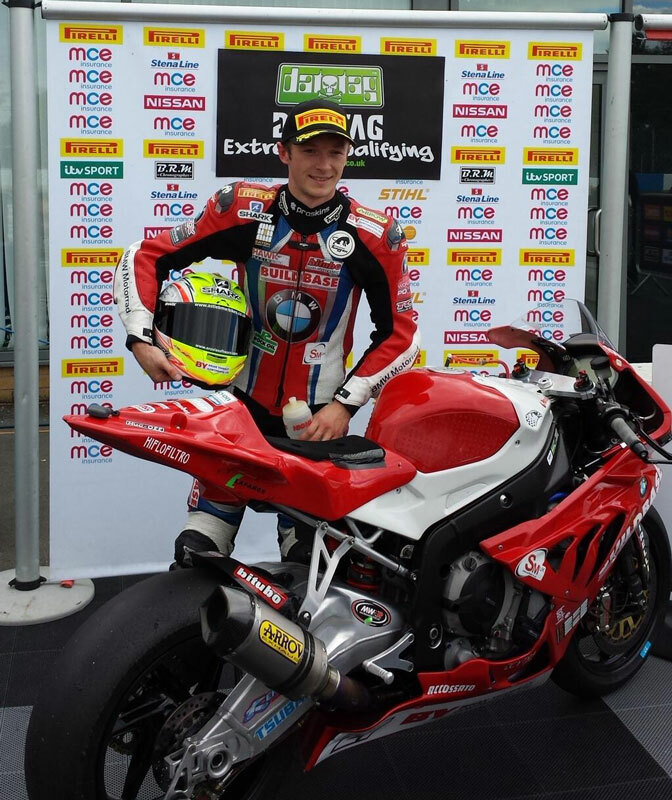 Westmoreland said: "It is brilliant for me and the Buildbase BMW team to be on pole here at Donington Park. 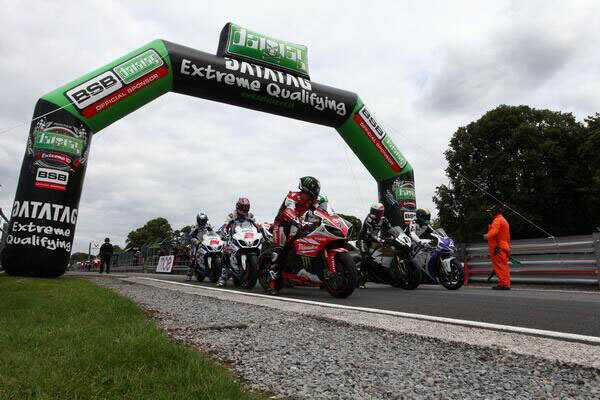 We didn't expect to be this strong because we had a bad weekend at Oulton Park and then again at Cadwell Park; we knew it would be better here and we have chipped away but we weren't expecting this! Until Q2 we were just cruising and then we decided to stick it out in Q3 and that was the result. I am made up for the team as it is their first pole position and it is great to do it for BMW. We need to beat Jon tomorrow and Bridewell is coming on strong too; the hard work starts tomorrow so hopefully we can push for a podium tomorrow." Samsung Honda's Alex Lowes admitted that the Samsung Honda team were making changes throughout the qualifying session and his run of two laps was his last bid for a front row start. Lowes maintained his unbroken run of front row qualifying performances as he bids to close down Shane 'Shakey' Byrne's advantage in the podium credit table tomorrow. Lowes said: "The qualifying session was alright for us; we were still working on some things as we haven't had much dry track time after yesterday. I think we will have the set up we need on the Samsung Honda for the races tomorrow; we only manages to get two laps in during qualifying as we were still making changes. The package we have is working well but we still have a few things to do in warm up but we know that this has been a strong circuit for Honda in the past so we definitely want to be in the battle tomorrow." James Ellison returned to the front row for Milwaukee Yamaha at Donington Park and now is focused on the opening race tomorrow as just seven points stand between him and a confirmed place in the title Showdown. Ellison said: "We needed to be on the front row here this weekend and now we need to get a good start in the race so we can try and get to the front at the beginning because there are so many riders who are also fighting for the Showdown position. We only need seven points to claim the place in the Showdown but we knew that there would be some more riders in the mix this weekend; certainly tomorrow I expect eight to ten riders to be up there having a massive fight at the front. It was vital to have the qualifying session we did because the battle for those race wins tomorrow are sure to go down to the wire."